At Capital Collision Center we use today's collision repair technology for today's vehicles. 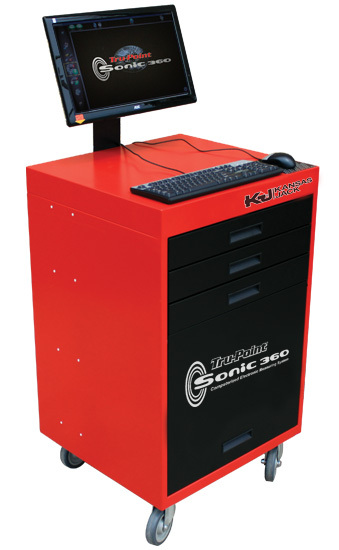 We have the Tru-Point Sonic Computerized Laser Frame Measuring System which uses laser technology. When your vehicle is damaged in a collision, the basic structure can be affected. This is often called "indirect or hidden damage." It is damage that you can't see, but it is there. With Sonic computerized diagnostics, we can locate hidden damage, allowing corrections to be made which will restore the structural integrity of your vehicle. With this technology you can be confident your car has been returned to pre-collision specifications.